Walking through the desert, it doesn’t take long to realize that just about everything is sharp. Large and small, strange and familiar, most cacti have spines. But why? Cactus spines aren’t just nature’s way to make the desert a rougher place to be. They serve several purposes for the cacti. From prickly pears to saguaro, there are about 1750 different species of cacti. Most cacti do well in extremely dry climates – and most cacti are also succulents. This term simply means that they have fat leaves that help store water. Cactus spines come in a variety of forms. They may be straight or curved, flat or round, hair-like, bristle-like, needle-like, or awl-like. Some cacti even have hooked spines! 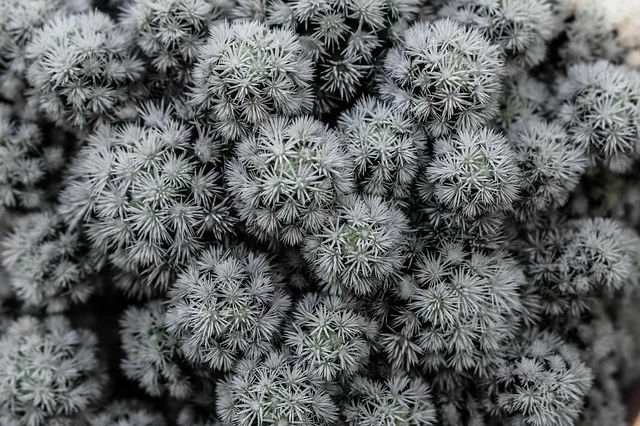 Finally, some cacti have hair-like spines called glochids. Many cactus species sport several different types of spine. 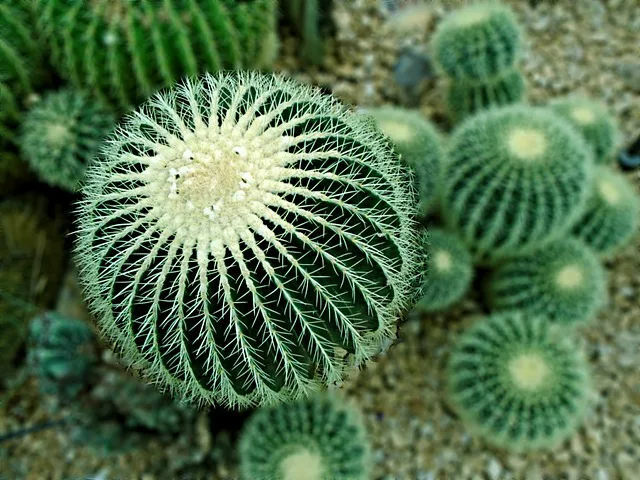 The number, shape, size, and arrangement of the spines are often useful in identifying the cactus. Let’s take a close look – but not too close – at the spines that make cacti really stick in your mind (and shoe). What Is a Cactus Spine, Anyway? Most cactus species don’t have true leaves or branches. Instead, they have highly modified branches called areoles – the tiny bumps that spines grow from. The spines of a cactus are highly modified leaves. But why would a plant shed its photosynthesizing leaves in favor of spikey protrusions? Part of the reason that cacti are able to do this is that their stem can photosynthesize. They don’t need leaves the way that an oak tree does. Plus, they generally grow in areas with plenty of sunlight! When you’re a desert plant, avoiding water reduction is the name of the game. As odd as it may seem, cactus spines actually help keep cacti from losing water. The main way that cactus spines prevent cacti from losing water is by reducing air flow around the cactus. Spines break up air flow, which can help reduce evaporation. The trapped air around the cactus can also create a buffer zone with slightly more moist air. Since plants lose a lot of water when it evaporates off their leaves, this is a big deal! In foggy areas, cactus spines can also help collect dew, which will drop onto the dirt near the cactus and be absorbed by the roots. While not all deserts have heavy fog, some do – like the Atacama Desert in Chile, the driest place on earth. In fact, the coastal fog of the Atacama Desert is so prevalent that it’s got its own name. Locals know this fog as camanchaca. If there’s almost never any rain, but mornings come with heavy fog, spines that collect water offer a huge help for a cactus plant. Cactus spines actually have special grooves that help them collect more water. These grooves are so specialized that scientists are working to replicate them as a water-collection method in drought-stricken areas of the world. Finally, cactus spines help cacti preserve water by providing a bit of shade. While it might not look like those spines have big shadows, every little bit counts. Since a given cactus can easily have thousands of spines, the little bits of shade certainly adds up. Many cacti also have ridges and grooves that aid in creating a bit of shade. One of the most obvious benefits of cactus spines is that they keep predators away. Lots of desert herbivores love chomping on cacti. Many herbivores will even break apart cacti and take mouthfuls of the spongy inside just to get at the water stored inside. Spines are obviously quite effective at keeping predators away, especially in the extra-spiney species like cholla cactus. That said, many animals like the desert tortoise, bighorn sheep, javelina, and pack rats are relatively undeterred by cactus spines. It’s a good thing that cactus spines have so many uses. Roughly one in three cactus species is endangered, so these prickly plants need all the help that they can get.